Sometimes you just know, that feeling of pure relaxation and the stress of life, work or whatever is going on fades away. That is how I felt the moment I stepped through those great big glass doors, to a light and high ceilinged room full of simplicity, papers on the side ready for me to settle in for a morning of indulgence and relaxation. 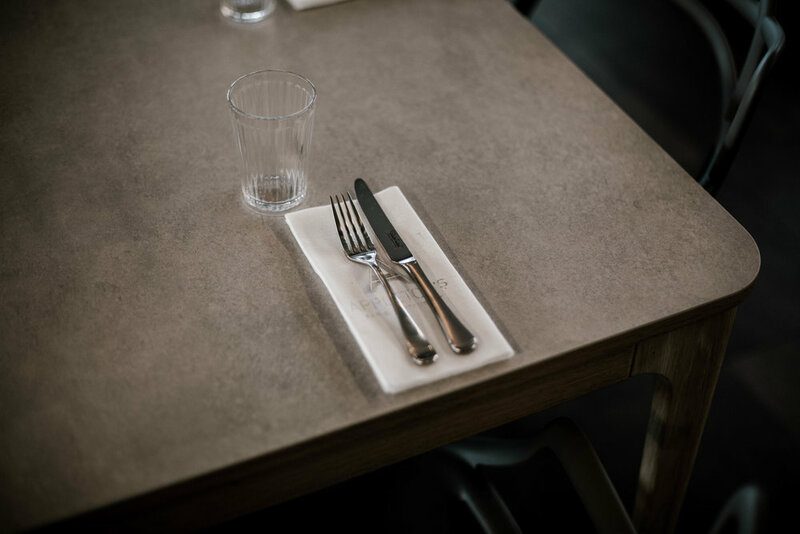 Appletons have created something different with their Sunday brunch, no rush, no squeezing into a seat, space to fill your mind and soul of the experience to come. The service was delightful, refreshing in a fast-paced world, from the very first moment they make you at ease like you are stepping into your families home and they just want you to take a seat and relax. We went for an early booking at 11 am and before we had realised, we had been there for 3 hours without even a raised eyebrow, that’s the thing, Sunday brunch at Appletons you have the table for as long as you want with no pressure to order and leave. We sampled the delicious coffee with the sweet taste of perfectly heated milk whilst trying to find our path to that question, what to have? I wanted to have everything on the menu but made the decision that we would share a couple of dishes. The first dish was gluten-free bread, avocado, eggs, goats curd and potato hash. The eggs were perfectly cooked and the avocado ripe and rich full of that creamy flavour, gluten-free toast was a delicious mix of seeds that crunched as I bit down with the taste of potato hash and goats curd creating the perfect musical for my taste buds. Sharing…… sometimes the hardest thing to do with your food, we managed it without an argument, savouring every bite before swapping over the plates and tucking into my next breakfast treat. 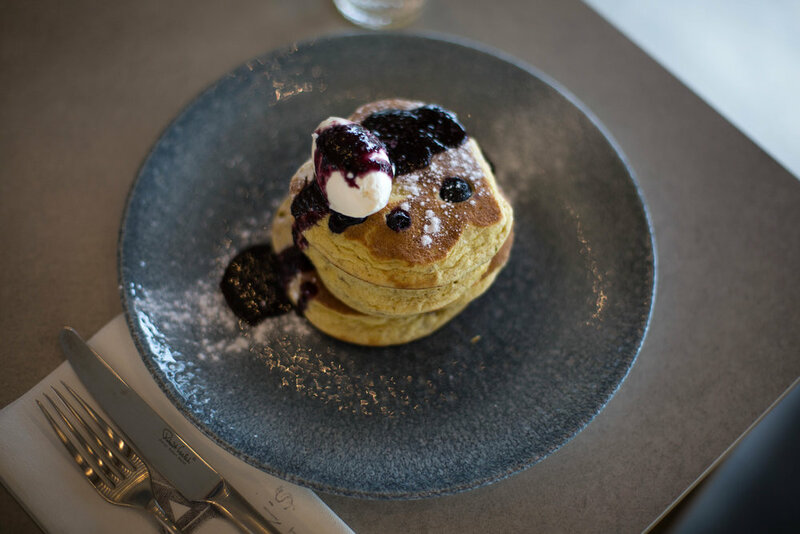 Roast banana and blueberry pancakes, mascarpone and blueberry syrup were just perfect, being gluten-free I have not had great pancakes for so long and this was a breath of fresh air, so sweet with and delicious with a mix of the blueberry syrup to make me smile from the inside. Well, what I thought was a smile on the inside turned out to be a massive great grin for every bite, waiting for the next mouthful and completely forgetting I am in a restaurant and not at home in my favourite chair with my favourite person. Whilst our food settled, we waited comfortably, reading our papers and ordered another coffee. Although we could have eaten everything on the menu our stomachs would not allow with only a little space left for the most delicious dessert of salt caramel, honeycomb chocolate pot and crème fraiche. With a little spoon each, we slowly delved into the pot to find the caramel making sure we got all the layers, all the flavours and all the smiles at once. We silently looked at each other as we took our first spoonful, with that knowing look of this is that perfect blend that I have been craving, from the honeycomb to the chocolate and the salted caramel with just a touch of mascarpone we said nothing. Sometimes you find something special and at Appletons, we found it.